I have put together a collection of 25 of my favorite custom-built (by me) "Wet Media" Photoshop Brushes. They're available for $5. 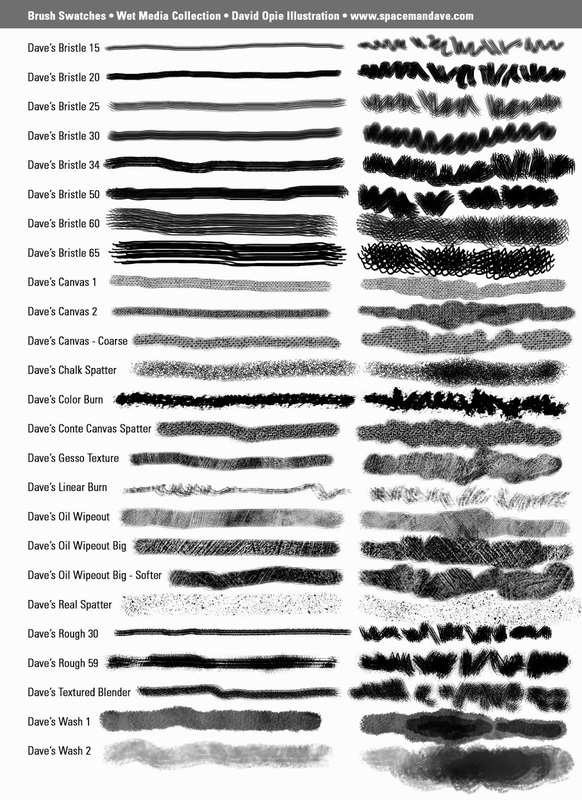 The Brushes have been tested in Photoshop CS4, CS5, and CS6 (Mac and PC). Click here to buy the "Wet Media" collection. Here are swatches for the 25 Brushes. I used these many of these Brushes on my "Let's Go, Murray!" app. 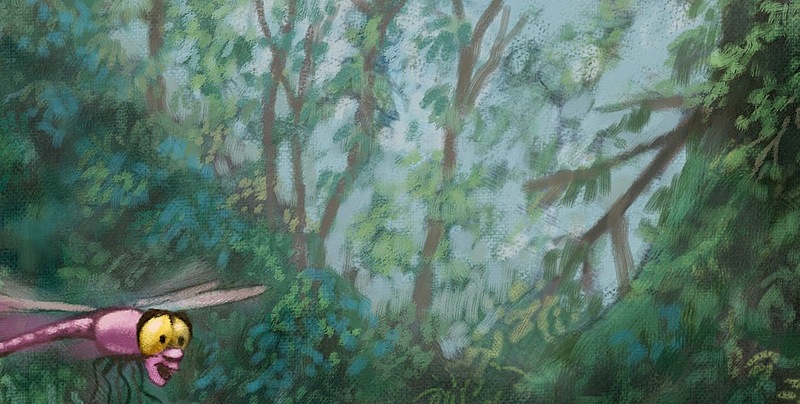 Here's a detail. Click to enlarge. 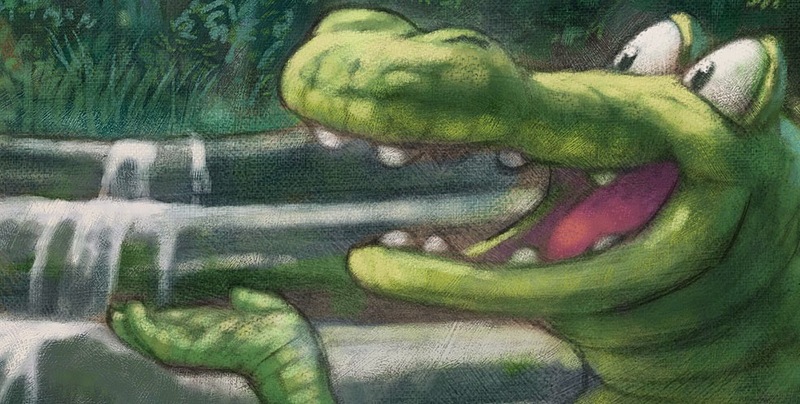 Here's another detail from the "Let's Go, Murray!" app. You can see a lot of the Brushes from the "Wet Media"
collection in this detail. Click to enlarge. Click here to buy the "Wet Media" collection ($5). Gesso, Wipeout, Wash: invaluable for adding texture and interest. Thanks! These are amazing Dave! Love your examples!